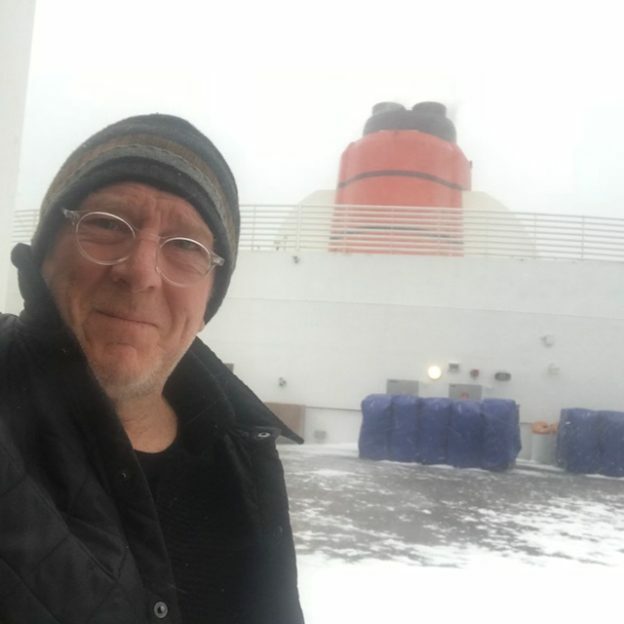 What on earth possessed me to take a transatlantic crossing?! Secretly, I think it was on my bucket list and curiosity got the better of me because I had never in my life even taken a cruise. But I wanted to try it out. Early January probably was not the best time of the year to do the crossing but this was the last crossing for quite a few months. Unfortunately, it happened to coincide with the blizzard of blizzards that possessed New York and ended up holding the boat up for 12 hours. The Queen Mary 2 is an impressive sight. Approaching it as we did through the Brooklyn Navy Yard, it suggests a time that has passed. 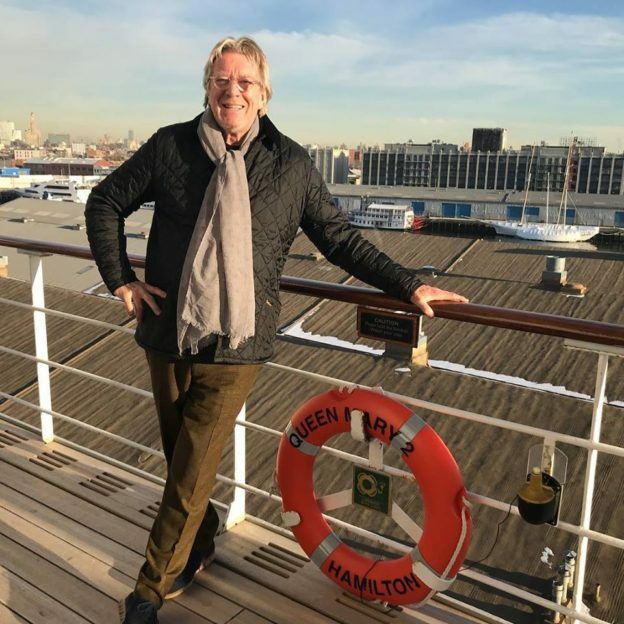 Transatlantic travel aboard one of the great ocean liners of the world. The boarding was a piece of cake. 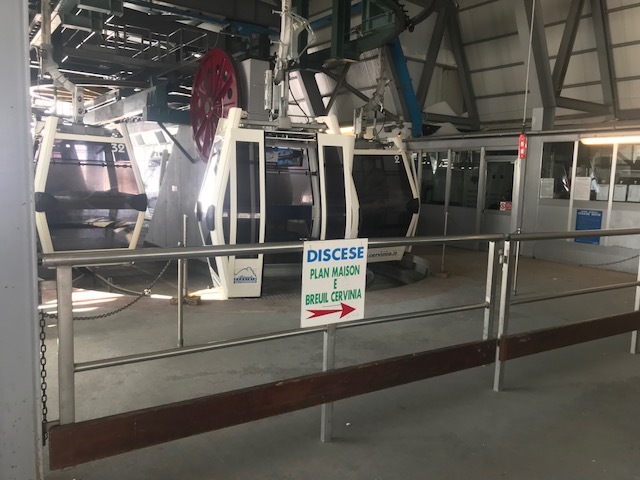 Warning – hold on to your bags. Imagine you are wheeling your bag onto an airplane. This is no different. If you give your bag up to the porterage system, you won’t get it for a while and it will cost you a hefty tip at the end of its journey. We wheeled our bags through immigration control, the check-in counter, and we boarded the boat. We were sitting in our “stateroom” in no time at all. This modest but ample room with a balcony (not great in a blizzard) was to be our home for the next eight days. It took me pretty much three days to figure out where everything was on the ship but for full time cruisers, this ship is not even that big. 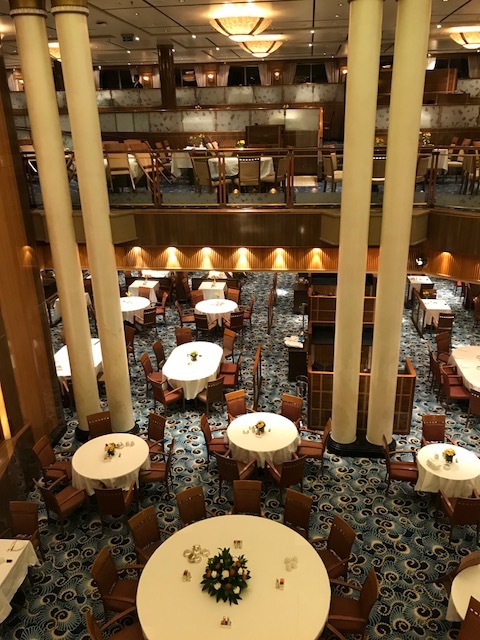 It holds 2,700 passengers, 1,200 crew members, has 14 decks, has 12 lounges, restaurants, and bars, and the kitchen makes 5,500 meals per day. For me it was an incredible site to behold. Walking through the labyrinth of decks and walking out onto the promenade was something I could have not imagined. The evening in New York was balmy and beautiful. Two days of stormy seas and blizzard conditions meant that we were on lockdown inside of the boat before we even left the harbor. Not to worry, there were things to do. Even though I suffered some sea sickness, I pushed ahead. 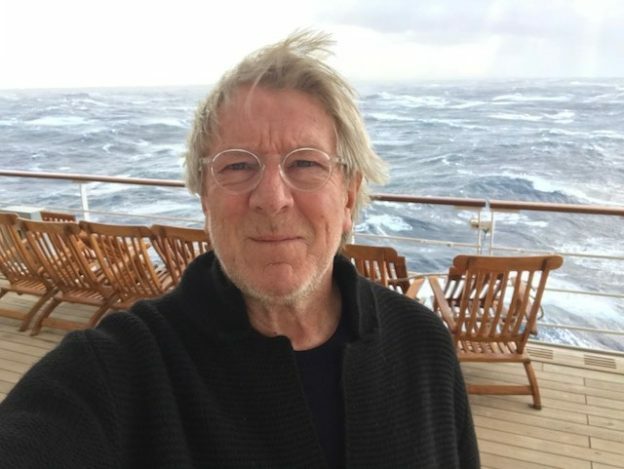 I joined the health spa, I had acupuncture and a massage, I went to several wonderful cabaret shows, I ate decent food, and eventually we steered our way across the Atlantic storm and into calmer waters. 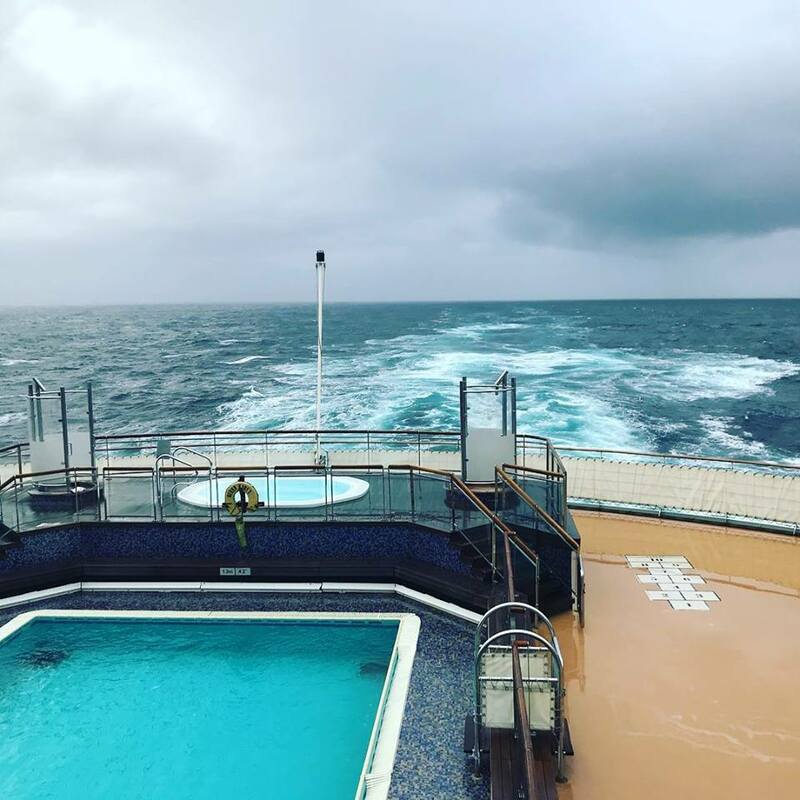 Once we left behind the raging sea, the decks were open, the promenade was full of runners, and it was surprisingly temperate in the middle of the ocean. Of course, there was nothing to see – no whale, no boat, no perilous iceberg lurking on the horizon, and not even stars at night because of the cloud cover. But the boat had its own rhythm. 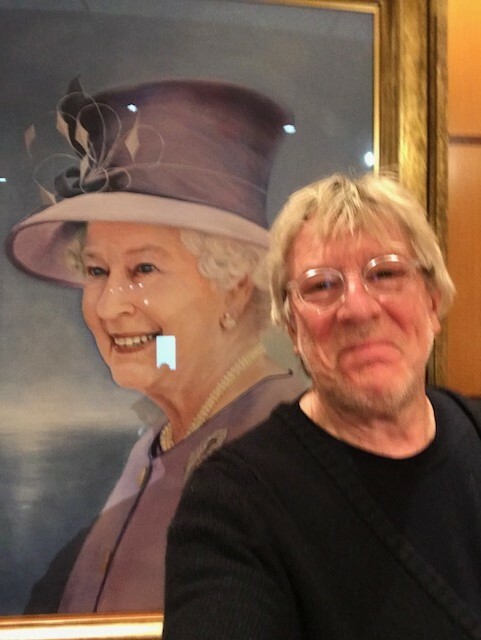 We visited the art gallery, took in more shows, hung out in the Commodore’s Bar which was a very cool bar, and each day I gradually slipped into a transatlantic crossing rhythm that became almost intoxicating. It is amazing what you do with your time when there is nothing to see and nowhere to go. 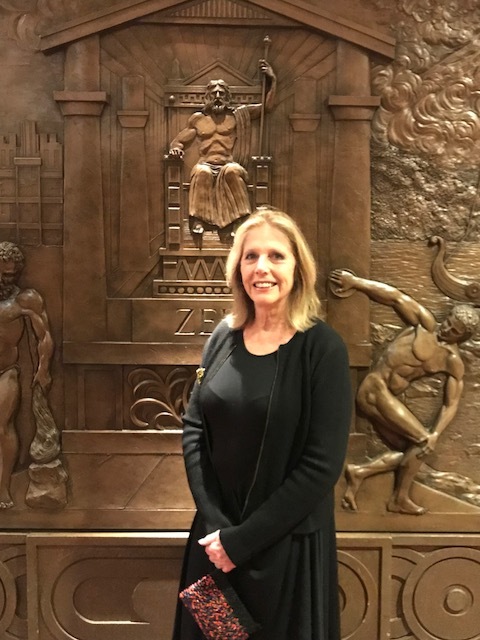 It was a surprisingly fit holiday – I walked around the promenade three miles per day, went to the gym two hours per day, and enjoyed the steam and sauna rooms at the Canyon Ranch Spa in between intermittent naps along with everybody else whose books had fallen to their side during their tea breaks. It is an older crew on the crossing for sure. 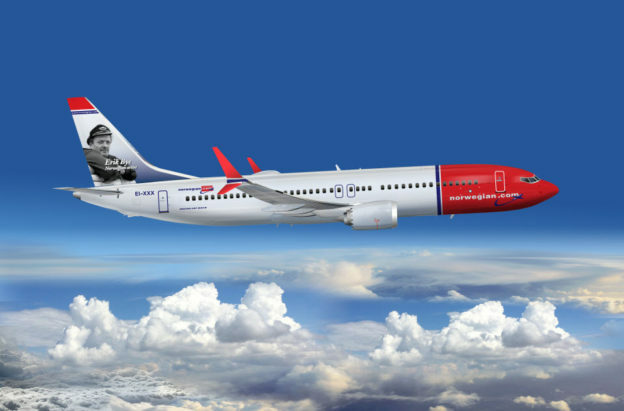 Frankly, it is a nice way to travel if your schedule permits and you simply cannot take those cramped economy seats on a transatlantic flight. The ease of boarding and deboarding were a pleasure compared to the tension and stress of airline security and check in. 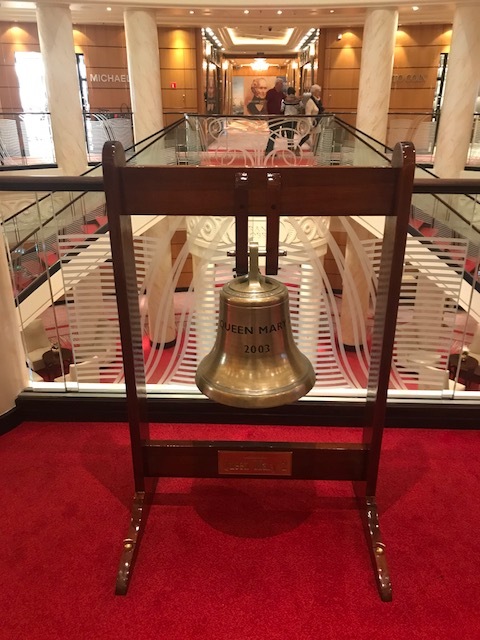 Time does not really fly…it is the sea after all…but if you travel from west to east, after day three, the captain announces an hour a day will be added to your time clock. It is a fun way to deal with jetlag. The price is not particularly crazy – around $2,000 per person for all meals, inclusions, and a hotel room for seven nights is not that bad. First of all, the internet was a joke and extremely expensive. 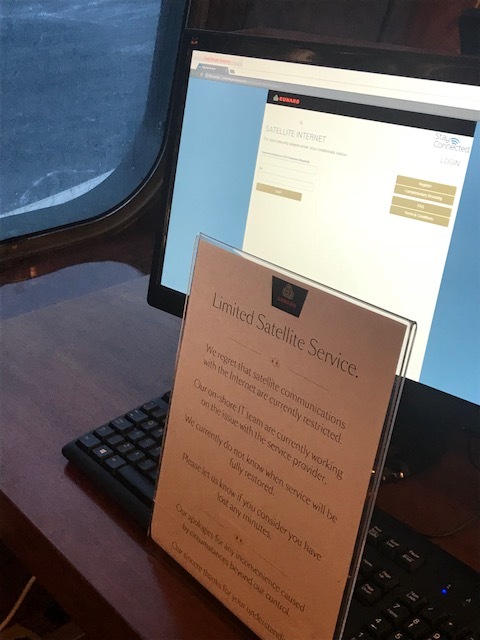 It cost me $500 to maintain bad internet coverage for the entire duration of the cruise. More often than not, the internet dropped out, and the only way I could really work was through WhatsApp. When I talked to crew members about this, they told me the same story. It seems like an easy thing to fix but it was shocking how bad it was. Second, the movies on board were dreadful. We were a captive audience. How come two bad movies per day are all we get when we have all day and all night? Why in God’s name can we not have the same kind of movie selection that you now get on planes? On a plane you are stuck for seven hours, here we were stuck for 192 hours. The TV scene piped into our rooms was awful too. It had a distinct English bent which would not have been bad had we seen a variety of great Brit shows. But this was terrible. In the end, I watched the QM2 channel because it was more exciting than the regular TV! Here is a solution – if we know the TV is bad and the movies are going to be duds, at least warn us ahead of time. This way we can download video content from Amazon or Netflix so that we have something on our iPads. Given the lack of streaming potential, this would be a smart piece of advice. I am not sure who is responsible for movie and TV selection, but honestly it was simply laughable. Then there was the shopping. Why can I not buy anything useful when I am stuck on board for 192 hours? We don’t land anywhere and I’ve probably forgotten some important thing that I would love to buy and probably wouldn’t mind paying twice as much for. I’m older and we forget things! The shops were pure tacky Duty-Free shops tragically lined up around the beautiful ornate double staircase. Gaudy colored clothes, bottles of alcohol, perfume, all of the things that are the absolutely useless. Forgot your swimming costume? Too bad. Need a pair of tights? Not going to happen. How about a pair of running shoes for the onboard gym? No way. Absolutely shocking that they did not cater for the needs of someone like me or most people who might need to buy something functional or something they had forgotten at home. The gym was like a bad gym at the Holiday Inn. Why have a gym where four machines do not work? The gym should be state-of-the-art. For $100 you could use the Canyon Ranch Spa though which offered steam, sauna, and had a huge jacuzzi pool. It was definitely worth it. It was free if you took a massage but then you could only use it for that day. The space for the gym could have been absolutely put to more efficient use. There was also a tiny, paddling pool and an unappealing jacuzzi on the 12th floor. I stuck to the Canyon Ranch alternative. And here is a gripe. Why do they not make a swimming pool for swimmers on board when they have the room? A 17-meter pool would be fine! But still there were a lot of good things on board. The wine selection was top notch and not expensive. The bars were fun, the food was pretty good, and the service throughout the boat was fabulous. 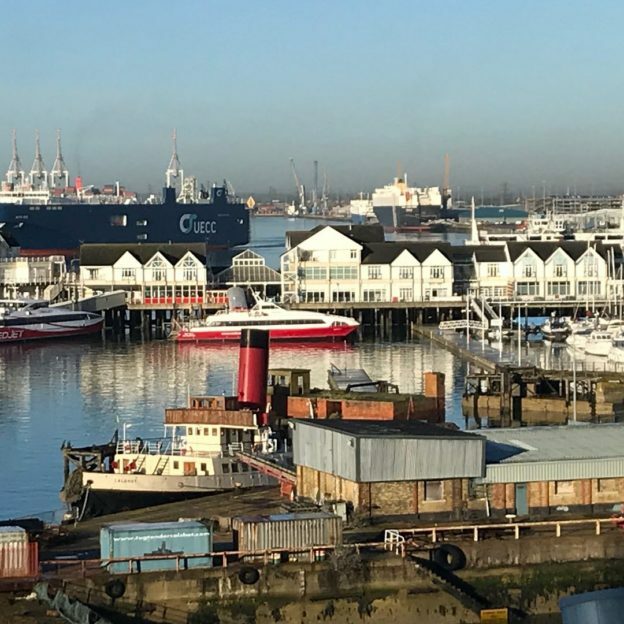 When we arrived in Southampton, I was distinctly not jetlagged and it was a breeze to take the train from the Southampton station to London. Would it have been fun to hit an iceberg? Maybe. It would have broken up the trip a little, as it were. But I can now say that I have joined the club of transatlantic crossers. While I will never be a cruise addict, with some adjustments on QM2’s part, I might be tempted to go back again. But certainly not in the winter. I came over to the USA in the late 70’s. I am an American citizen and I love this country. I love Boston and I love travel. We have had our fair share of hiccups during our company’s journey. We have seen terrorism, war, a major financial crisis, and still, people travel overseas because it is important, it teaches tolerance and cultural understanding, and it makes our young people better citizens. I am proud of all of the things that we have accomplished in partnership with our incredible educators across the USA. So how disheartening is it to watch an event like the Marjory Stoneman Douglas High School shooting take place this week. A place where children should feel safe, where teachers teach to make better citizens, how can this be? Forgive me for thinking that the events in Parkland, Florida seem to remind me of a film called ‘Groundhog Day.’ A perfectly serene day, a school where we have conducted business, a teacher that we know, and absolute mayhem and horror takes place. It is probably because I live in Massachusetts where there are strict gun laws, it is probably because I am English where we don’t have guns and where even the cops don’t carry guns, and it is probably because I do not believe in the Second Amendment. But I am sick and tired of listening to people talk about the need to provide guns for people to defend themselves against people who have guns! I am sick and tired of seeing headlines where young lives are taken; wonderful lives that have not even begun. I am sick and tired of all of those people who actually believe that having a gun in the house is a secure and safe investment for their children and for their families. How many more times do we have to see these tragedies unfold? It almost deadens the spirits and numbs the mind when I see these incidents come through on my alerts. How can that be? 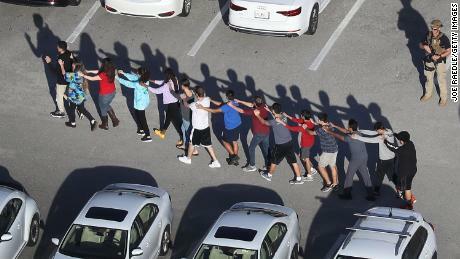 How can 17 people being killed in a school be just another event on my alerts? How many times do we hear the cry for gun reform gradually quieten and disappear as the weeks go by until the next tragic incident takes place? If this horrible tragedy is the start of real reform, then maybe I would start to believe that our country is moving towards sanity. But I fear not. Even though when we look at the statistics for gun deaths in the USA versus every other country in the civilized world, it is staggering, frightening, and embarrassing. Let this be a call to arm people with a voice that says that any organization that supports laws that protect and nurture the carrying of guns should be ashamed of themselves. Look at the statistics, look at the facts, this is not about mental illness, it is just simply about guns. Guns are bad and nothing good ever comes out of them. I just discovered a fabulous wallet and it is perfect for travel. Here’s the thing. 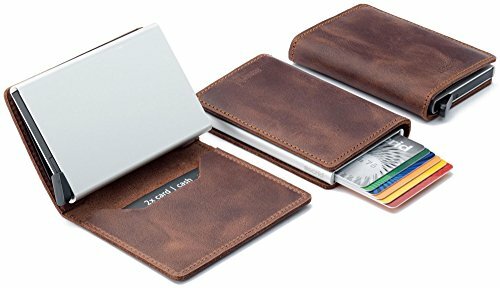 When you travel a lot, you tend to rely upon two wallets – a mothership wallet where you store pretty much all of your main paraphernalia and receipts, and a small wallet which is for your daily fix. 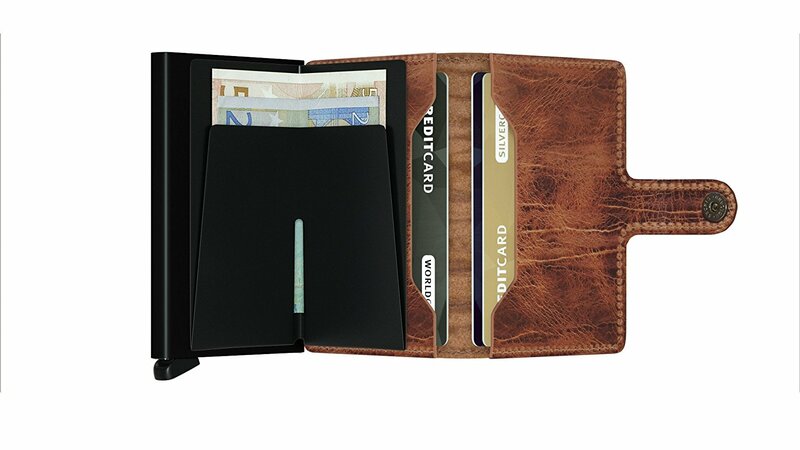 I’ve tried the orthodox wallets (the bifold, the trifold) and the super slim credit card holders with the money clip on the side, but it just gets complicated. The bifolds and trifolds end up stuffed with business cards, plastic cards, random notes and receipts. Before you know it, you’re walking around with a miniature book in your pocket. The tiny backup ones, are often missing the right cards – did the license get left in the mothership wallet? – and there is no room for money so you have to carry a money clip. It’s a bit messy. And the money clip is not brilliant in general. Where do you put the hotel card, the subway card, and so on?! I thought I had solved everything when I discovered an Italian wallet with a money clip inside of it and room for a bunch of credit cards but not enough space to tempt you to dump your Costco card, your Global Entry card, and a wad of business cards. All great, except in true Italian style, the wallet started to give too much. One day, while I was paying for something, everything slid out onto the floor. Cash, credit cards, you name it. It was one of those great examples of an Italian invention where everything looked great but nothing really worked. 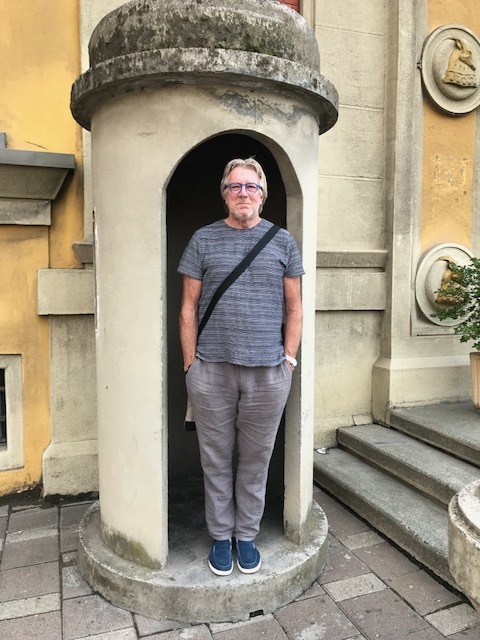 How I love Italy! So I was recounting this to an Italian friend of mine and he told me he had solved my problem. He recommended a wallet system called Secrid. This wallet has changed my life. It has a money clip inside, a compartment for your driver’s license, and it is small and compact. But most importantly, it has a magic lever on the bottom that fires the credit cards into a fan like display while the wallet is closed. Almost like dealing a deck of cards. I have not come across anything quite so creative and brilliant as this. Secrid is a Dutch company that was founded over 20 years ago and the wallet piece of the company was almost a secondary part of their business. During the financial collapse in 2008, they decided to focus on what they call a “card dispenser wallet.” It was a brilliant moment. A young Dutch couple, who happen to be designers, started an incredible journey. What they had spotted was that people’s wallet behavior was changing – less cash, more credit cards, and the idea that smaller is better. Being able to dispense a credit card without opening the wallet was more secure. So I bought one – actually I bought two – and I started telling my friends about them and using the wallet daily. When I travel in London, I put my Oyster Card in there so I can just fire the button and scan the card. I just want to say thanks to the Secrid team. Anybody who has not looked at this product should give it a shot. Follow this link and your life will be changed. Happy spending!! Today was our last day at sea. Our day started with an early morning breakfast and then off to a lecture by Maria Friedman and to look at art at the delightful gallery. In the afternoon the weather broke and we finally saw sun and wispy clouds. 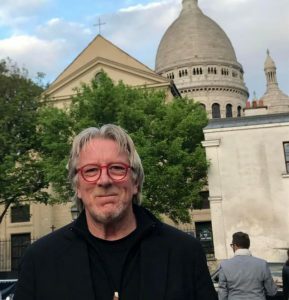 Took a walk around the promenade four times and then had some wonderful English tea sandwiches (cucumber and cheese and tomato) followed by a visit to the spa and gym. I preordered duck for dinner tonight which was wonderful. Tonight it’s entertainment night on board with entertainment by the Cunard dancers. Fit and talented male and female dancers strutting their stuff in front of a wide variety of very unfit and elderly looking male and females. Both sets were all dressed to the nines. As usual we darted to the side front. Great seats and nobody ever sits there. Thankfully, tonight it was a short show. Had a nightcap at the Commodore Bar and then went off to bed. Everyone here had their suitcase outside the door at 6 pm. No idea why. Check out remains a mystery to me! There were some pamphlets about it but that all looked like a nightmare. It said to assemble downstairs at 8 am in your designated space etc. We are going casual though. They have my credit card. We have our bags. We will see what happens tomorrow but I am approaching this a bit like checking into a flight. Late and relaxed. Always board last and never hand someone your luggage. If they need you they will contact you and in meantime I’m going to get up early to watch landfall as we sail through the English Channel. Docking at 8 they say. They caught up blizzard delay. And how long ago was that, wow. Time actually did fly. As it were. Today I went to an acupuncture session with a really nice lady, Ana, from Portugal. She was very spiritual, very cool, and stuck lots of needles in me. I️ felt great after! She was amazing. Went to the promenade for a circuit and the English tea sandwiches before I️ headed to gym. After the gym, I went to spa and then headed to a beautiful exhibition in the art gallery. Delightful. Then to formal dinner where I got dressed up in bow tie and white shirt. The food and service has been pretty good all the way through but tonight it was exceptional. Tonight was the walk of the chefs as well. There are 236 chefs on board and they serve 15,000 meals a day. Bloody hell! After dinner we walked to a concert where there was an amazing pianist with a band performing classical and show tunes. 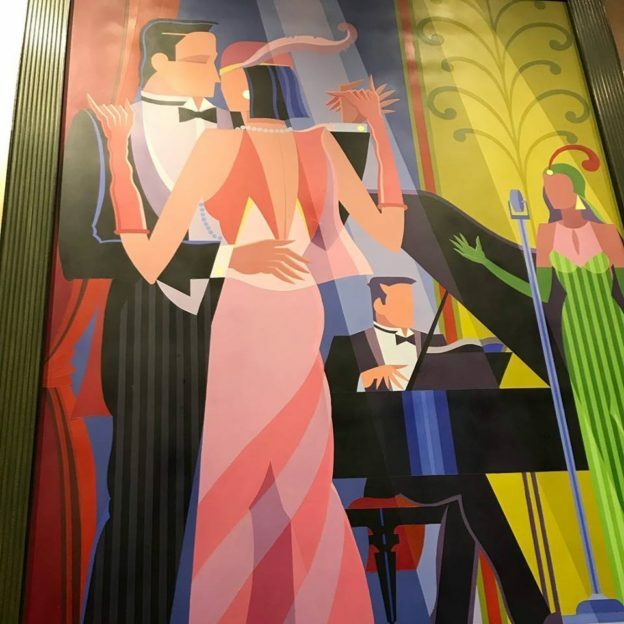 Afterwards, we stopped at the very cool art deco Commodore Bar for a nightcap. What a way to spend the day. Last night a little rough out on the high seas. Want to be armed with Dramamine. Today we woke up to calmer waters and rain. 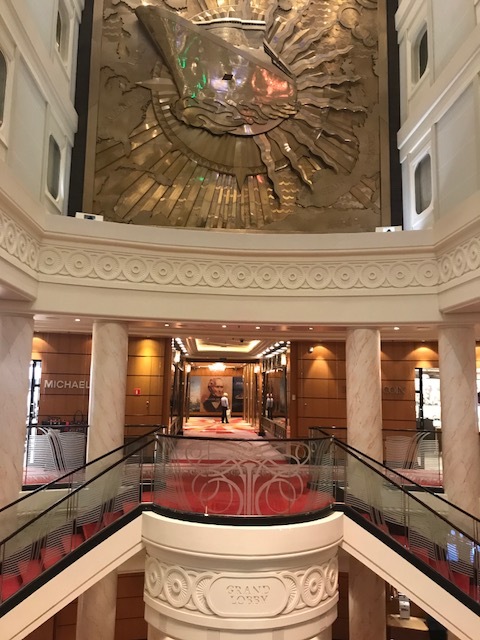 The QM2 has 1,292 crew members and the capacity is 2,691. The maiden voyage was in January 2004 – just about 14 years ago. Today, people are strolling around the deck, mainly for exercise. The sights out to sea are unrelenting rolling grayness interrupted by white caps. Alas no whales nor dolphins nor passing boats to break up the dull vista. There is no sky to peer through as cloud cover is intense. Today I am off to gym again but yesterday five machines were out of order. I’ll be heading to a lecture at the theater here that i wanted to go to. Also today we will move another hour forward as we gobble up the time difference between the US and the UK. The captain came on to announce very causally that there had been a fire somewhere overnight and that various stairways were shut down. Nothing to worry about he said so life continues. Breakfast ends early (9:30 am) at the waited seating and after that it all goes down to self serve. It is a little messier and less comfortable. The internet continues to be relatively hopeless and expensive. Minutes disappear faster than the setting sun. Off to connect and take some photos. A giant whale would be handy. Saturday showed much calmer seas after a rough night. It was a night of Dramamine and deep breathing for me. The secret to sea sickness is to be in center of boat down low. 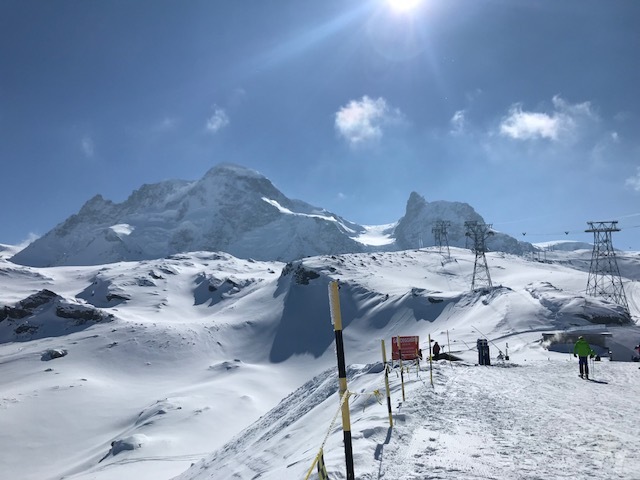 We are at the top in the front. The forecast ahead is smooth sailing. We saw Maria Friedman today. She did a one woman show on Sondheim and Bernstein. We actually saw Merrily We Roll Along at the Huntington Theater in Boston recently. She directed it! She did a wonderful condensed show of Sondheim songs primarily. What a lovely lady with an extraordinary career and a fabulous voice. So fortunate to have her pass the week on the crossing with us. Chatted with her by the elevators and she is moving Merrily We Roll Along to New York City soon. It was such an amazing coincidence to see her! Took to the open promenade for a long walk. We are slowly adjusting to life without internet connection and lots of time on our hands. The walks along the outer perimeter of the boat are quite amazing. The temperature outside is balmy and miles away from the freeze on the eastern shore. Here we are soaking up warmer temperatures and Atlantic rain. Still nothing has been sighted except white caps. But I am slowly getting used to the nothing vista and the beat of the crossing. Gym and spa every day to ward off temptation of endless mounds of food. Dance routine after dinner plus disco. Late night ahead. I have been slowly adjusting and as of Sunday I am starting to evolve into a crossing type! I see the allure. It’s just a nice way to pass the time and it forces you to disconnect from everything. Announcement from deck this morning called for us moving another hour forward. We slowly make our way to the British time zone. After a morning of not much at all, we drifted into a lecture on Jack Vetrianno and Fabian Perez. A really interesting talk about two painters, one Scottish and the other Argentinian. The art gallery on QM2 is stacked up with good stuff. It’s all stocked somewhere below and the collections change every day. 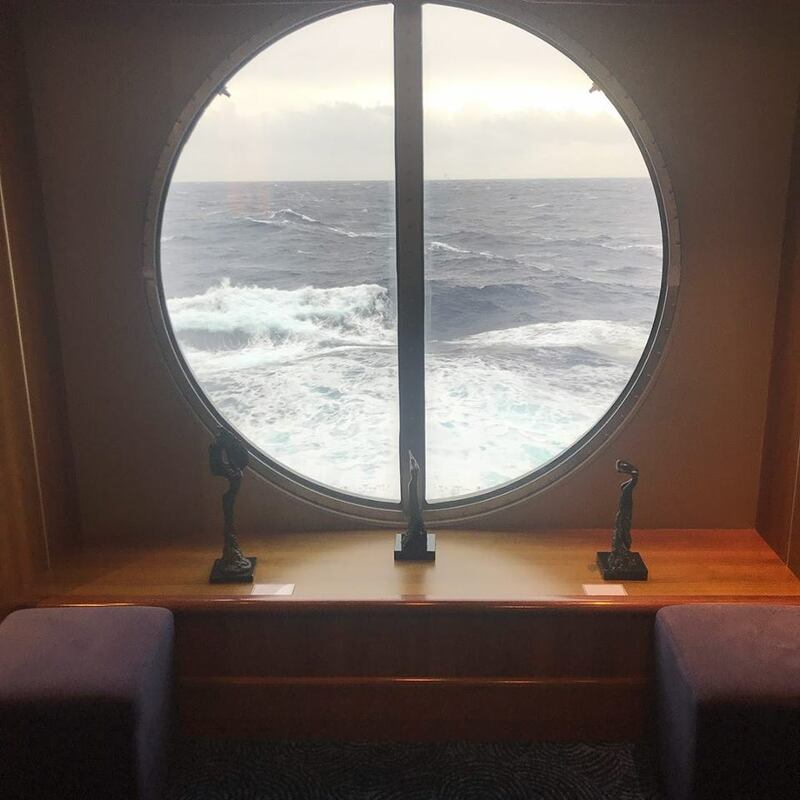 The setting is just a dream for the collections too as the waves splash across the porthole windows. Perez is a really cool painter and Vetrianno is the bad boy of modern painting! Actually loved his stuff but Perez was a great guy to pair him with. After an interesting chat with the two curators we moved on. For me it was the gym and the spa which I have grown to love. I like the availability of it and the knowledge that I know how to work everything. Every day becomes part of my routine. It’s a good investment for the week. Tonight we went to another curated nighttime show on Broadway and the 1960’s. We snuck into the front row on the side and what a great show it was. Everyone spills out of dinner and drifts into shows at the end of the day. The casino was humming, the nightclub noisy and fun, and everything is going full belt. I am loving the rhythm of the crossing. Can’t believe I just said that! The internet is still hopeless. It was formal night last night and everyone had to dress up. You sit at the same table as usual but you have to wear a tux. There was a captain soirée earlier for certain sections but I took a massage and enjoyed the spa instead. The boat is still rocking around fiercely. It’s a little unpleasant and the decks are still closed. There was an early morning wake up by the captain to announce that all water in the cabins is not working. No toilet or shower. Great wake up news. After breakfast the cold water is back at least but the hot was still out. Just in time! We went to watch a dance class which reminded me of my holiday camp days. The internet connectivity is dreadful and they charge you even though it barely works. So far I have spent 200 dollars and the speed is worse than dial up! The boat is rocking and rolling around. I’m going to try the gym but it could be tricky as it is probably impossible to stand straight. It’s either that or playing bridge. It’s a huge boat. I still get lost. That makes every walk an adventure. First, a confession. I have never been on a cruise ship. So to board a ship with another 3,000 passengers was strange. To understand that this ship had been in the Caribbean and was on its last voyage across the Atlantic before setting off on a round the world cruise was amazing. There were people on board who were going for the whole thing. But we were the cruise virgins. 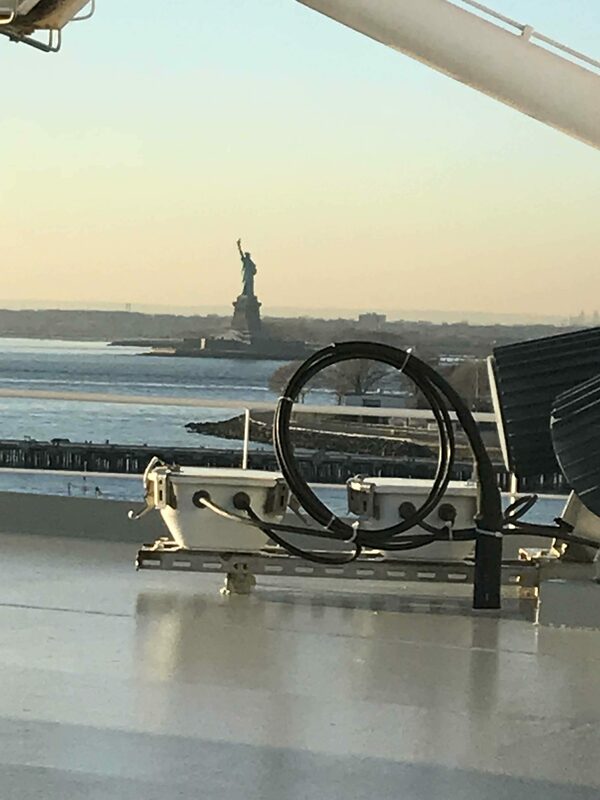 While we were going through the safety procedures on board, as we were looking out on a beautiful Manhattan skyline, we discovered that the boat was stuck. Blizzard! And so we got used to the skyline (which was amazing), had some great food, and waited until the morning. Today we had a morning blizzard. There were high seas but the tug boats pulled us out of the harbor. Under zero visibility and raging seas with huge waves and snow lashing the decks, we sailed in a loop passing the Statue of Liberty through the narrows and rocked our way along the coastline of Long Island. All this before breakfast! The outer decks were shut down but I sneaked out for a quick photo. After all, I don’t want to get swept away in these conditions. Just took a Dramamine, then off to the gym, then a massage later in day plus watercolor class. Very cruisy. So far it’s all a bit of an adventure. The Wifi is expensive and TV is not great unless you want Premiership soccer all day and outdated movies. But the blizzard is a trip. Hey you Brexiteer Brits, how painful was that decision you all made back in 2016? That promise of independence from those awful Europeans and a restart of those great old days when England ruled the waves. Well, it’s starting to look shaky at the moment. First of all, if they ran the referendum today, a lot of the people that actually voted without a clue would now reverse their vote and vote to remain. But of course, this puts the current government in a sticky position as they pledge to honor the will of the people during that awful referendum vote. Meanwhile, because of the uncertainty, the effects are starting to play out in the economy. I was chatting with a leading provider of jobs to the European youth market at the World Travel Market. She reported that applicants from Europeans for jobs in the service industry were 30% down year-on-year and they weren’t being replaced by Brits. These were the Spanish, Italian, French, you name it, all looking for that first year or two in a base industry to perfect their English and have fun in a capital city like London or Manchester. 30% down and where were they going? To other European cities like to Amsterdam, to Dublin, and to Scandinavia. Not to mention, there are about 100,000 jobs that are already projected to leave the financial center as companies begin to develop strategies around Brexit. Oh well. Abajo y atrás. 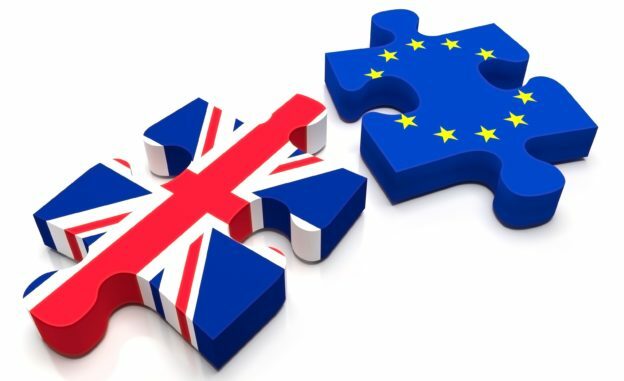 This entry was posted in Blog, Travel and tagged Brexit, European Union, Government, Opinion, United Kingdom on November 26, 2017 by caroline rossi. The World Travel Market (WTM) takes place every November out at the ExCeL London convention center next to the O2 – the huge entertainment complex that was developed around the Millennium. 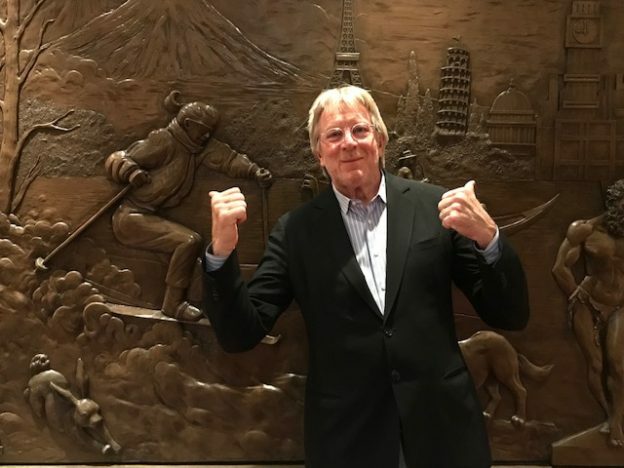 The World Travel Market is a fun event. 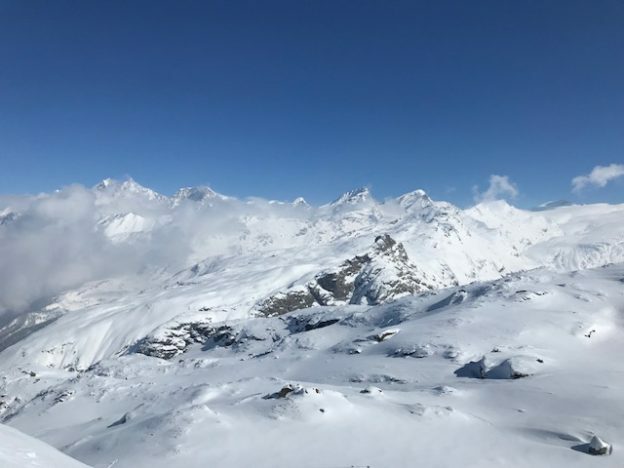 It’s a chance to run around the world in a huge auditorium, to network, to research new destinations, and to catch a view of the city that stretches out along the Thames River beyond Canary Wharf to the outer edges of what is called the Thames Barrier. This is the new London – encompassing the financial center, the Olympic Park, and the ExCeL London. It is also the home of London’s City Airport and will be the home of around 20 new businesses over the next five years. One of the highlights of heading out to that part of London is grabbing the Emirates Air Line. 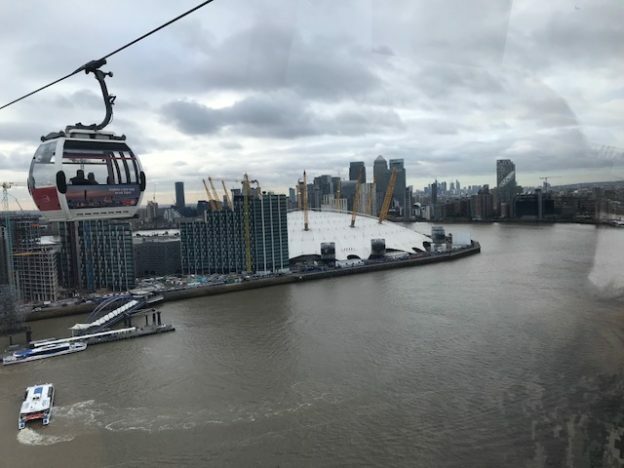 This cable car links across the River Thames and East London. You board the cable car not from North Greenwich Underground and it delivers you to the ExCeL. It’s about a 10-minute journey and during the World Travel Market, as long as you have your badge on, it’s free! This is one of the great rides across the outer banks of East London that you can take. 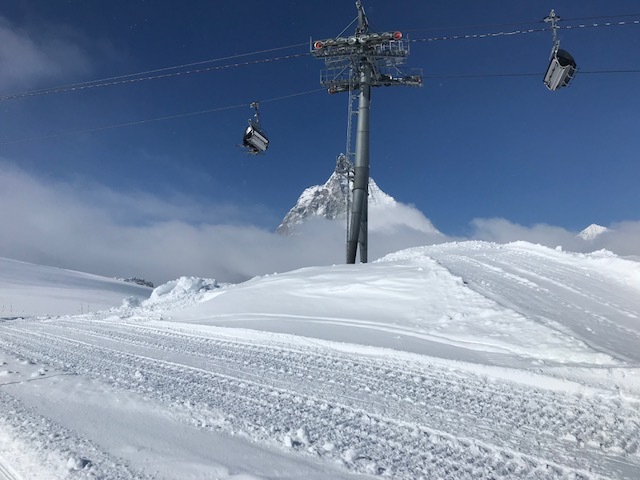 A prelude to your ski adventures in the new year. 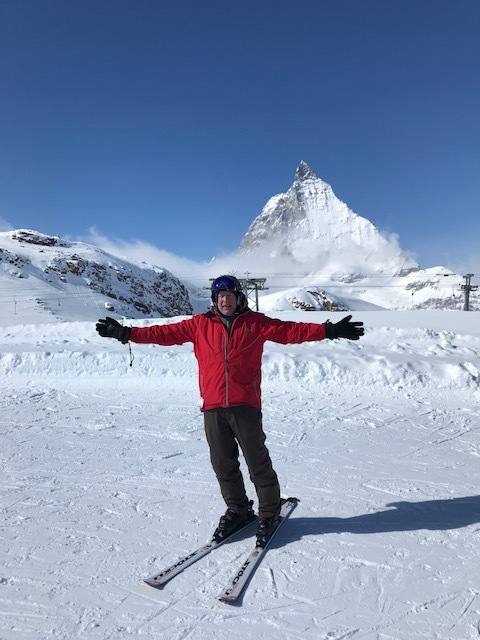 This entry was posted in Blog, Travel and tagged Convention, London, London Travel, Travel, World Travel Market on November 21, 2017 by caroline rossi. 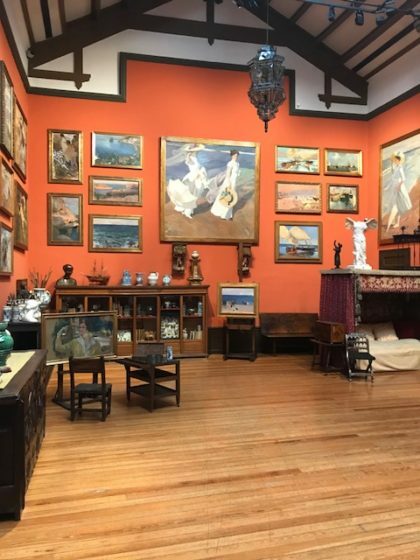 Tucked in the center of Madrid’s busy and bustling metropolis is the Sorolla Museum. When you think of Madrid, you tend to think of the Prado, Thyssen-Bornemisza, or Reina Sofia. These are the three iconic museums all clustered along a museum avenue that stretches from the post office square down to Atocha Train Station. 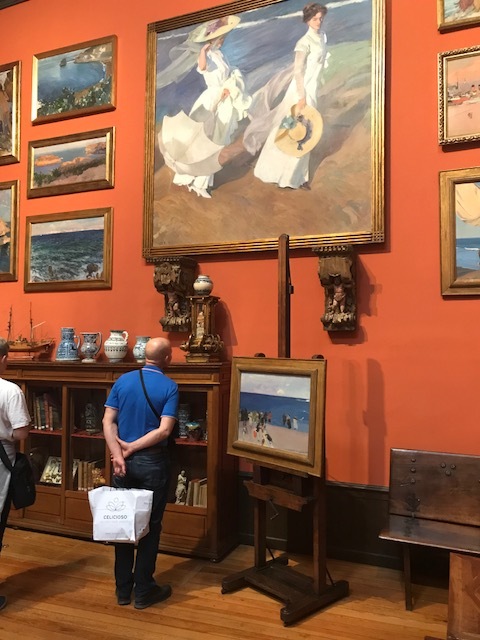 But if you have a moment of space in Madrid, I cannot recommend enough the tranquility of the beautiful Sorolla Museum. Joaquín Sorolla is Spain’s great impressionist painter. His colors of terracotta, white, and light blue are seductive. His paintings leave you with a sense of optimism and goodness. His house, which is now the museum, was donated to the state when his widow died. 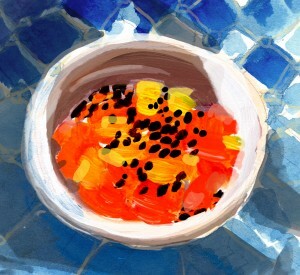 The house remains as it was when Sorolla was alive from his studio, to the dining room, and even the kitchen. Recently, the gardens and water fountain outside were restored as well. They offer a delightful respite from the busy city beyond the wall. Madrid is the kind of place that needs a museum like this. 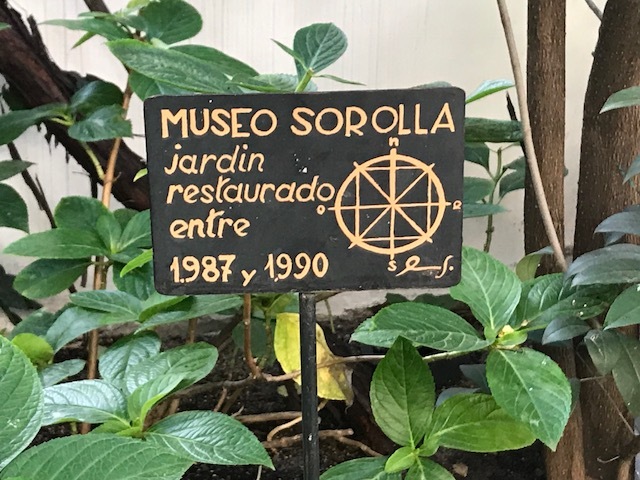 It is one of those delightful museums that are a little off the beaten path where you can spend a few hours and collect your thoughts away from the cacophony of the Plaza Mayor and Plaza Sant Ana, and the craziness of the Grand Via and the Puerta del Sol. This place offers a breather for tourists and locals alike; a chance to reflect and look back at an age long since gone. I have been several times and each time it feels like I am about to start a yoga session because it is so peaceful and relaxing. 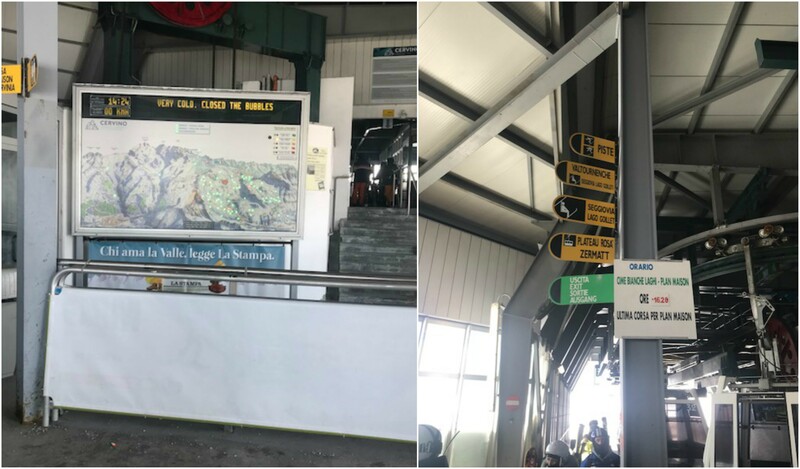 It is easy to get to the museum as well. You can take the Metro to Iglesia (line 1), or if you are adventurous, take the bus. If you are super fit, you can combine it with a walk from the Paseo de la Castellana. For me, I have to admit, I grabbed a cab. 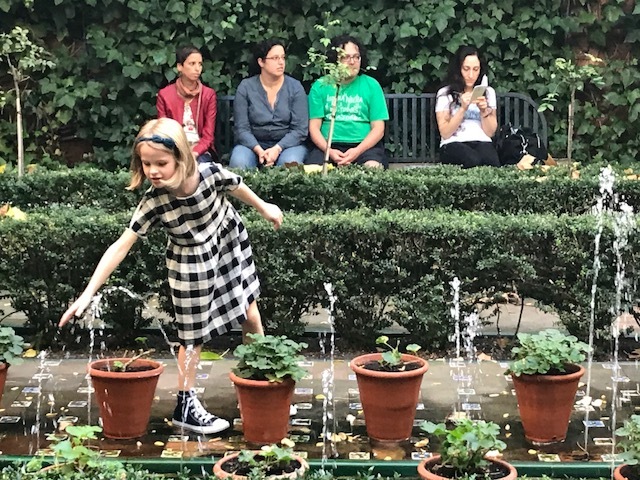 This entry was posted in Blog, Museum, Travel and tagged Art, Art History, Garden, Hidden, Madrid, Museum, Spain on November 7, 2017 by caroline rossi. I don’t know anybody that has been to Albania except for my crazy Italian friend. I mean, nobody. Enver Hoxha took care of all of our dreams of traveling to Albania in the early days. 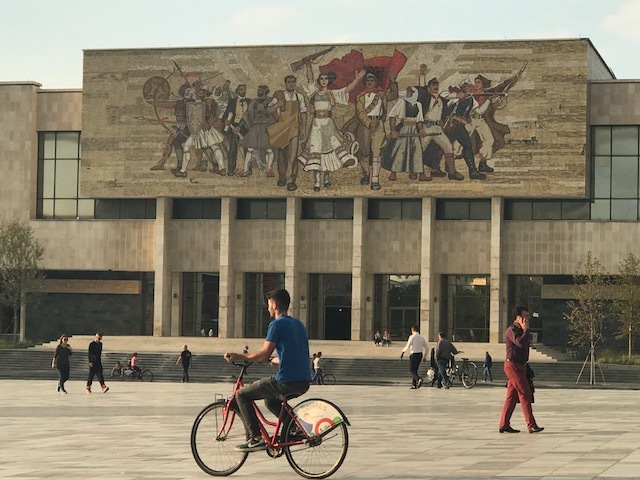 By the time Albania became open to tourism in the 1990’s, the Hoxha regime, a pseudo-Stalinist dictatorship, had decimated the entire country. For 50 years after World War II, this place had been closed off to all tourism. Nobody could leave, nobody could enter, there was no free press, state TV, lots of “disappearing factions” and it was pretty much the most frightening place inside of Europe that you can imagine. It made Franco’s Spain look like Club Med! Imagine this, from the Albanian coast to the beautiful island of Corfu took only 30 minutes on a ferry. Except the ferries did not go. What this guy left was no infrastructure for tourism or anything – no roads, no nothing – and a completely beautiful coast line was so underdeveloped that it makes you want to cry. Imagine what the journey from Montenegro along the coast to Albania could have been. 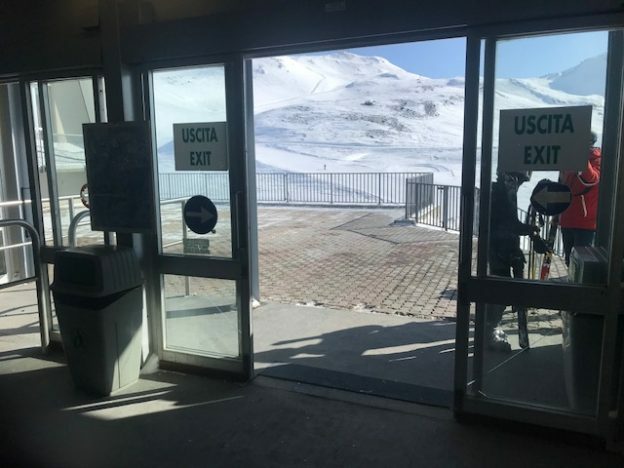 You have to take the inland road to get to the border crossing because there simply was no other way, then hang out for an hour and a half to two hours to exit out of Montenegro and enter into Albania. Both Montenegro and Albania are in the queue for application to the EU. Shame on you England for opting out. In that moment, when you cross into Albania, you are in another world. We drove to a fairly large town called Shkoder. It was a mix of rundown buildings with satellite dishes hanging off of the edge of balconies. Not the sort of place you would want to hang out in and that is precisely why we carried on. 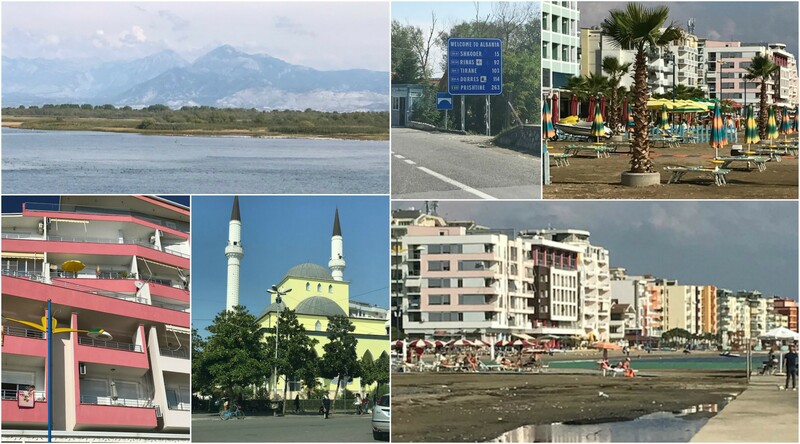 We followed the main highway heading towards Tirana with a view to test out the coastal road to see if there were any resorts worth reporting back on. The highway was nothing but gas station after gas station interspersed with tacky, palatial casinos and nothing else. We stopped at a highway restaurant and everybody was smoking inside and outside in spite of the ‘No Smoking’ signs. It had this feeling of mafia pasted all over it. The gas station scene was ridiculous. It had to be a front for something else. We headed to the “coastal resort” of Durres. No surprises here. There are several shoddy resorts and the sea did not look safe to dive into. This place needed a serious overhaul and probably some of the money that had gone into the gas stations should have gone into the development of the coastal community here. Alas, the thought of buying a villa on the Albanian coastline quickly subsided in my mind. This place needed time which was a great pity because it has the same beautiful climate as Greece and southern Italy. 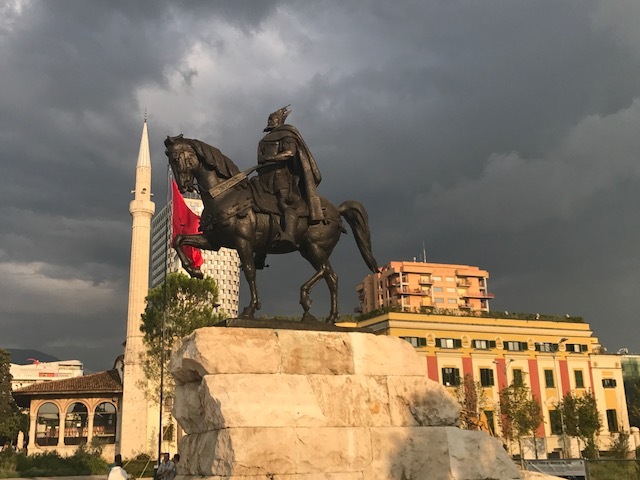 Tirana, the capital, came at us very fast. It had been built up quickly after the collapse of the old regime. Our hotel was super glitzy, Las Vegas-style, and it overlooked this very Soviet-style square called Skanderbeg Square named after Albania’s national hero, Gjergj Kastrioti, who was later renamed by the Ottomans, Skanderbeg. He unified the country, defeated the Ottomans, and died in the 15th century, but still they love him! Around these parts, believe me, you cling onto anything after what these guys have been through. In the square there is a beautiful mosque, an orthodox church, and a huge mural dedicated to the Soviet-style revolution. The square reminded me of Red Square or Tiananmen; vast, open, and stark. I thought that maybe I should come back here in 20 years but for now I just needed a great fish restaurant in the center of town. 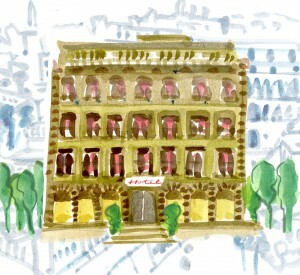 I found one on TripAdvisor called Il Gusto. 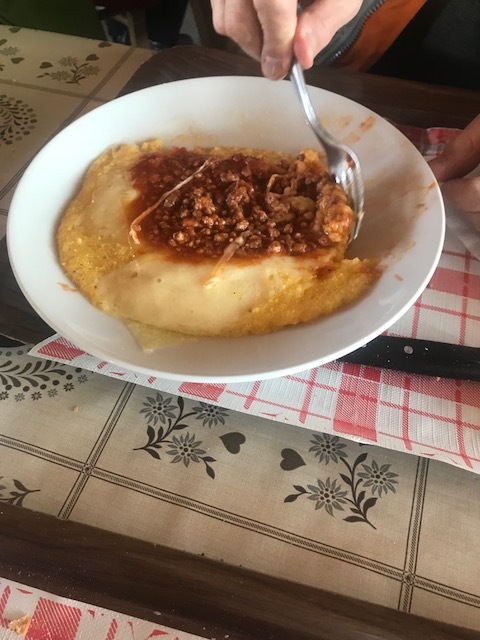 It had fabulous food, brilliant service, and frankly it was just about the greatest thing I discovered in Albania. See you in 20 years. 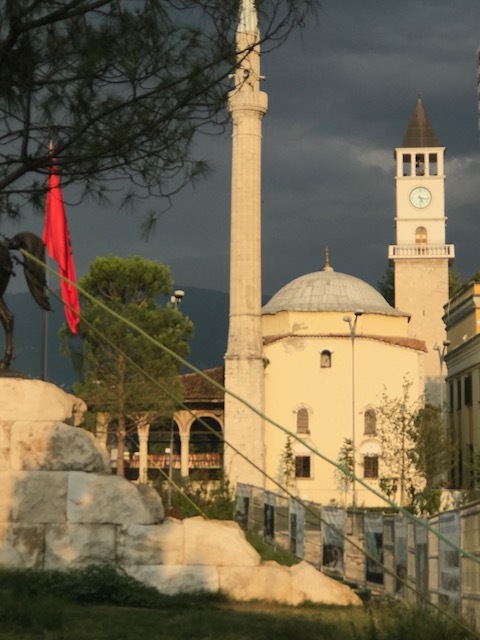 This entry was posted in Blog, Travel and tagged Albania, Europe, Tourism, Travel on November 3, 2017 by caroline rossi.